Most entrepreneurs, even seasoned brand managers, launch first and then work on slowly transforming the new offering into a brand. A logical progression, I would agree. After all, how can you possibly launch as a brand if you don't have any customers or marketing outreach and - obviously, since you just launched a new offering - you have no legacy or advocates? The simple answer is by design. Design relates to the systematic process you have to adhere to, which is likely the primary reason you have sought to listen to this book. 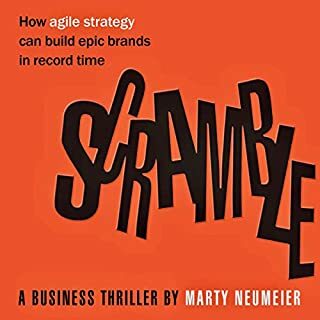 Marty Neumeier, author of The Brand Gap and other business best-sellers, has written an audiobook that leaps right into your pounding heart. One rainy night in December, young CEO David Stone is inexplicably called back to the office. The company’s chairman tells him that the board members have reached the end of their patience. If David can’t produce a viable turnaround plan in five weeks, he’s out of a job. The problem is, he’s already used every trick in the book and nothing has worked. His only hope is to try something new. But what? We are now living in a world with over 100 brands of bottled water. The United States alone is home to over 45,000 shopping malls. And there are more than 19 million customized beverage choices a barista can whip up at your local Starbucks. Whether it’s good or bad, the real question is why we behave this way in the first place. Why do we telegraph our affiliations or our beliefs with symbols, signs, and codes? Brand Thinking and Other Noble Pursuits contains 20 interviews with the world’s leading designers and thinkers in branding. What do brands like Planet Fitness, Everlane, and Bombas all have in common? They're capturing peoples' emotions and winning customers' hearts. And they are based on commodity products or services. 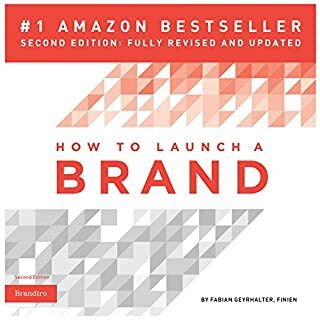 Following the success of his best-selling book, How to Launch a Brand, acclaimed brand strategist Fabian Geyrhalter is back with an enlightening new book that digs deep into today's new world of brand creation. Bigger Than This challenges companies - from startups to Fortune 100s - to (re)discover their spark and connect with today's consumers on a deeper level. 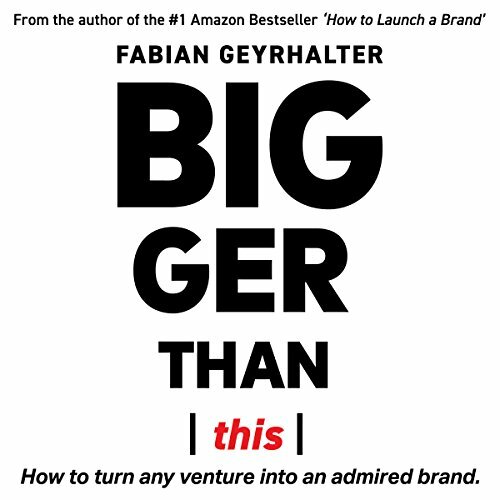 In Bigger Than This, Geyrhalter analyzes brands that are based on commodity products - watches, socks, shoes, fish - yet they quickly turn into beloved brands. He emphasizes the importance of storytelling, encouraging brands to embrace eight simple traits these brands showcase and offers specific, actionable commandments that any brand can implement - story, belief, cause, heritage, delight, transparency, solidarity, and individuality. Instead of playing "dress-up" he wants businesses to uncover the roots of their ventures and share honest, empathetic stories that resonate with consumers, creating a loyal following that leads to strong, successful brands. If you could sum up Bigger Than This: How to Turn Any Venture into an Admired Brand in three words, what would they be? 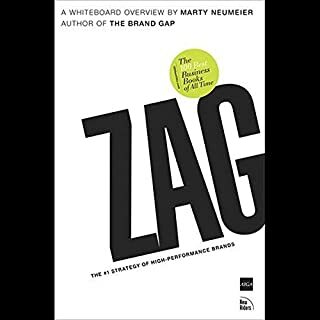 This book is a valuable and easy-to-read summation of many of the ways modern organizations distinguish themselves through authentic connections to their customers, not just old-fashioned marketing hype. I enjoyed the behind-the-curtain look at several iconic brands that are making waves for their honest approach to marketing. 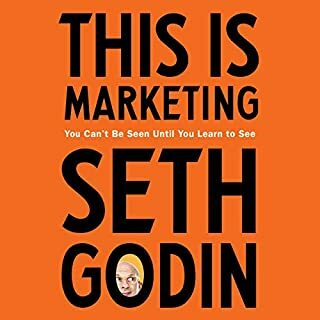 This audiobook has already provided me with some fresh ideas and new perspectives that have enhanced my work as a digital marketer. 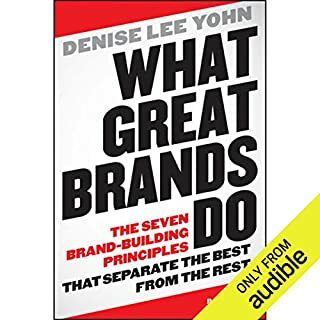 This is a really great book for people that want to make their brand sticky. It talks about how you don't need to have the next big thing in tech or innovation to be a successful brand. This book lays out how anyone can build a powerful brand without all the bell and whistles. So necessary and relevant in today's market. 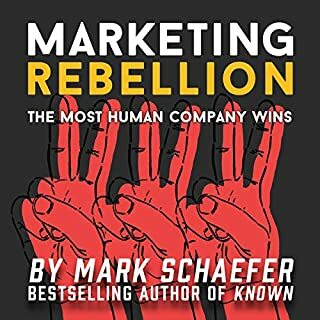 I just finished listening to Bigger Than This, and found it to offer a variety of immediately useful insights I have already started to apply in my own business. The examples provided were accessible and helpful. Along with Building a Storybrand, these are my two favorite books on thinking about your brand promise and communicating authentically.